July is the month to have fun and enjoy life. Sitting right in the middle of summer, the month promises a lot of fun activities and events. 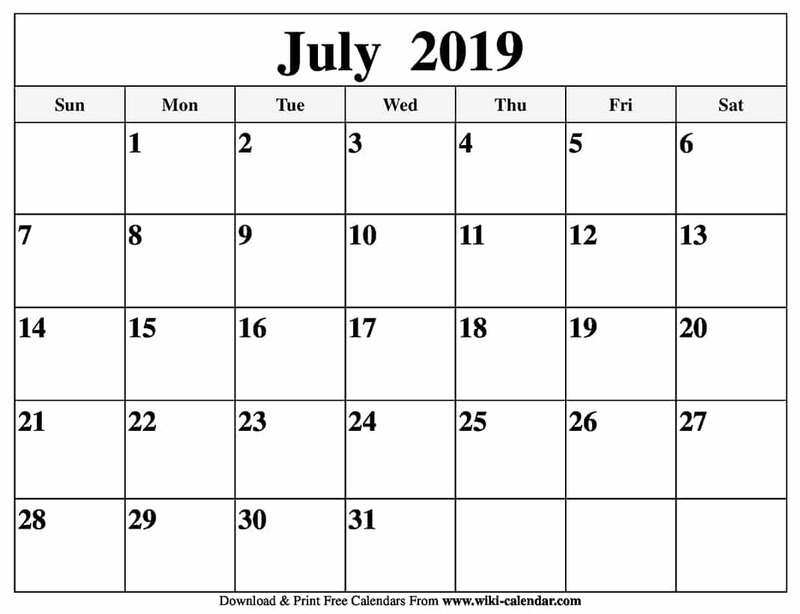 With a well designed July 2019 calendar template, you can plan your holiday so that you don’t have to miss out on any action. The summer holiday is fast approaching. It is once again that time of the year to plan for holidays and all the other fun activities. And what better way to do it than on a beautifully designed calendar. 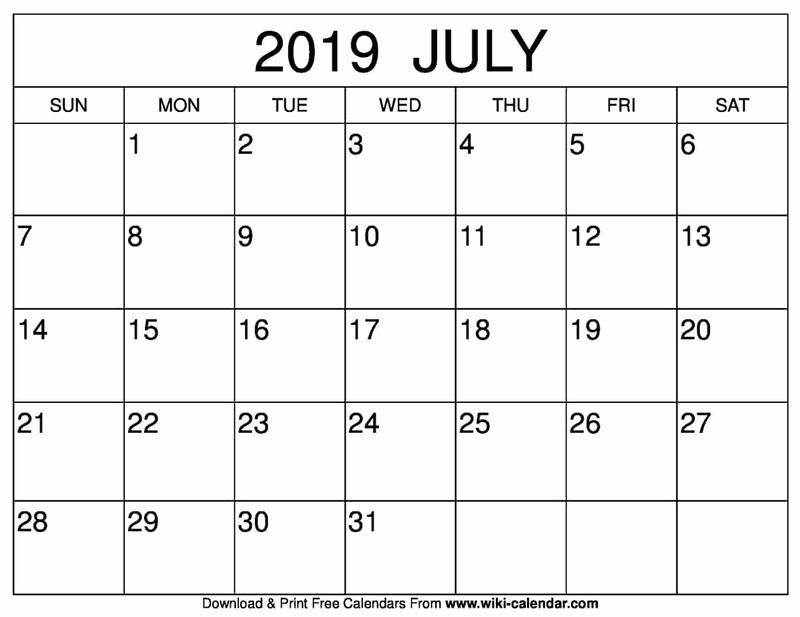 You can get a July 2019 calendar template to help you plan your summer activities. July is one of America’s favorite months. Most of the summer activities go down during this period. Planning for all those activities can be quite hectic, especially if you have a family. A well laid out July calendar template can help you to lay it all out in an organized manner. The July 2019 Calendar Printable templates come in all designs. There are templates for monthly, weekly and even daily organizers. The designs come in various formats: both horizontal and vertical arrangements of days are available. They come in a wide selection of colors and are also customizable. If you like to use a floral calendar in horizontal orientation, this can be the perfect choice for you. 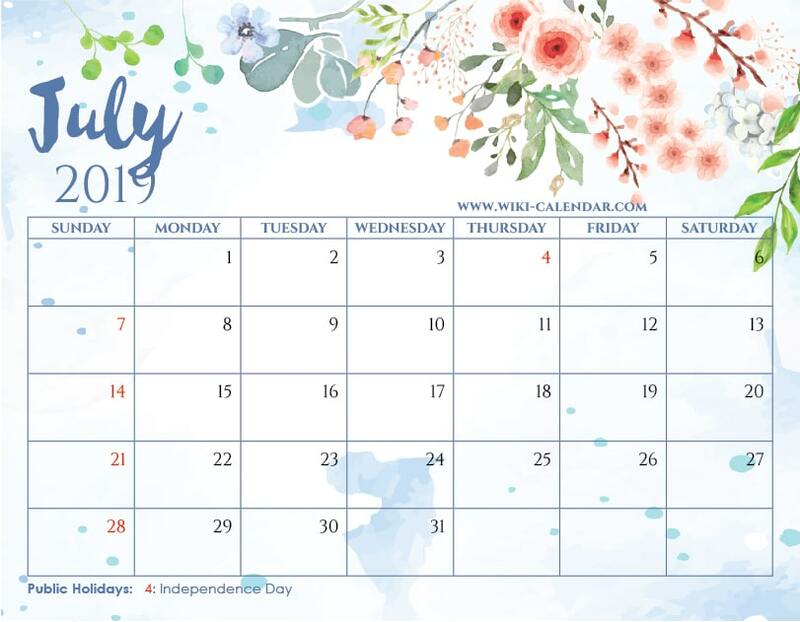 Here is your Free Printable July 2019 Floral Calendar with Holidays! The textured paper background plus the hand painted floral elements are pretty awesome. They will inspire you to have an amazing month ahead! July 2019 Floral Calendar templates are available in various formats including PDF and JPEG printable. 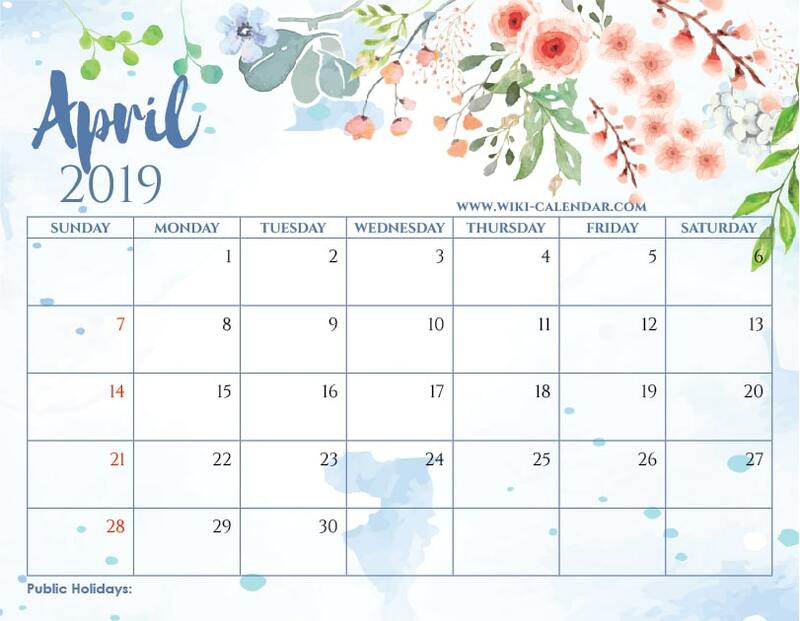 To make your calendar more appealing to look at, you can select photo templates or themed templates. The photo templates incorporate images into the calendar. It can be a family photo, that of your pet, or a vacation scenery. Themed templates offer you customized designs for your calendar. Popular July 2019 themes include wildlife and nature, technology and arts. 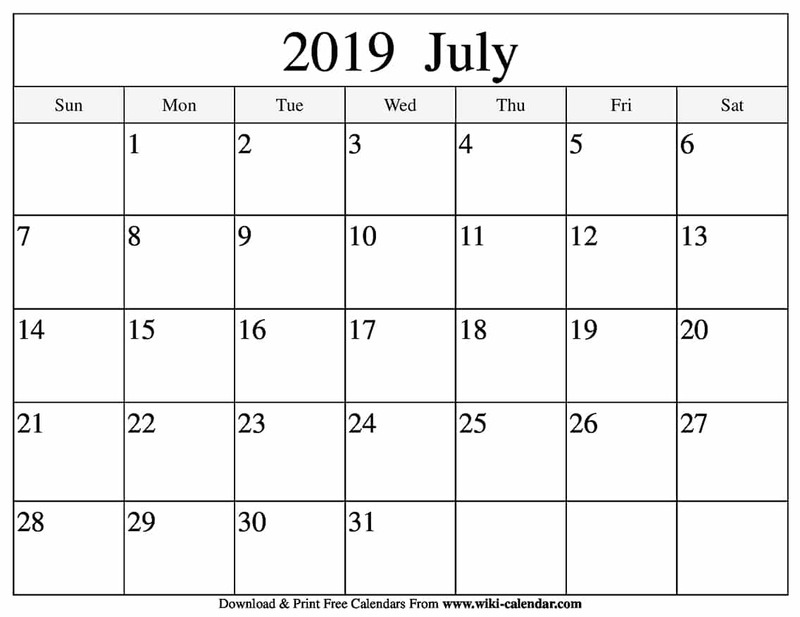 The best part of it all, these Blank July 2019 Calendar templates are absolutely free to download. And unlike other free templates, these do not bear water markings or any other bold advertising texts. Simply free. You can get these templates in both PDF document and JPG printable formats. In the ancient Roman empire, July was actually the 5th month of the year. It was referred to as Quintilis, and was the month of agricultural festivals and making offerings to Jupiter. It was not until 450BC when it was changed to the 7th month of the year, and its name changed to July, in honor of Julius Caeser. Today, July is one of America’s favorite months. It is right in the middle of summer with great weather all over the country; 70 to 80 degrees in the northern states. The entire country is in a vacation mode with people flooding beaches, resorts and summer camps. It is basically a month to enjoy life. July is also a month filled full of entertainment, especially in the world of sports. For starters, it is the month of the major league baseball, which is the greatest league in the sport. It is also the month for extreme sports: everything from dirt bike racing and rallying to skateboarding and mountain boarding. The entertainment extends to music and arts. Several music and dance festivals happen in July, along with summer film festivals. It is, therefore, a month to look forward to. July is also the month to celebrate Cancers and Leos. It is the month to celebrate the birthdays of the strong emotional and intimate Cancers, and the bold Leos who are great leaders. With lilies as the month’s birth flowers, these birthdays are always a blast. July the fourth is the most important federal holiday in the US calendar. It is a holiday to commemorate the day the thirteen American colonies were freed from British rule. 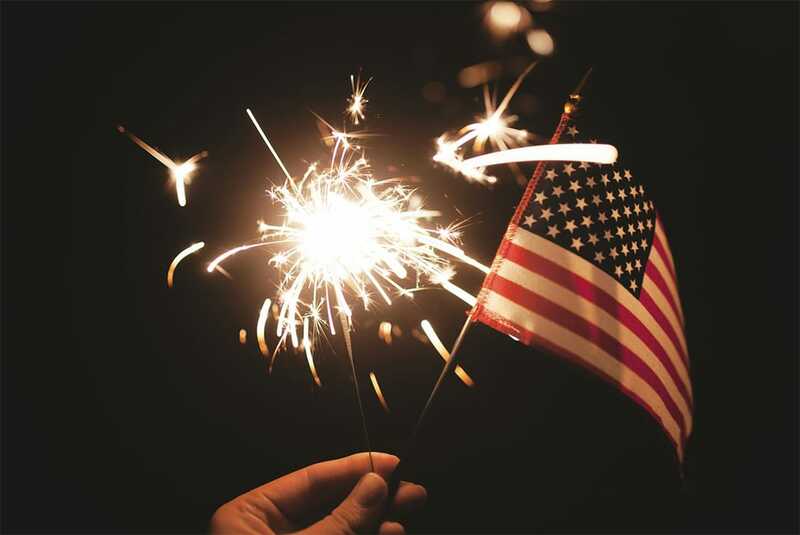 This year’s celebration marks 243 years since the declaration of independence and the existence of the United States. It is a day for patriotism. The red white and blue colors are often flying high in people’s homes, front stores and streets. Everyone is usually in a good mood, and proud to be American. It is also a great day to take time and reflect on the privilege. it is to enjoy the rights and freedom that we enjoy as citizens of this state. The afternoon barbeques are another reason that makes this a great holiday. Families and friends gather in backyards and commemorate the day by roasting a mean steak and pork chops. The friendly conversations and jokes cracked on this summer afternoon, while children run around the place, are truly priceless. As for the evenings, parades and street festivals keep most towns alive. People flock from homes, children and adults alike, to dance to the marching bands’ music. It almost as though the spirit of New Orleans has spread to the entire nation. And this is just a build-up to the climax of the night. Fireworks displays mark the end of the celebrations. This is the hallmark event, and no fourth of July is complete without it. The colorful displays light up skylines in the most beautiful way. They are usually so spectacular and you can witness them even miles away from the city. And this is why Independence Day is America’s best federal holiday. When Is Parents’ Day 2019? The 4th Sunday of July is the national parents’ day. It was made a national holiday in 1994 under Bill Clinton’s reign. The rationale behind this law was “recognizing, uplifting, and supporting the role of parents in the rearing of children”. This made America join South Korea, which was the only other country that celebrates such a holiday. After celebrating mother’s day in May, and father’s day in June, July is the month to jointly appreciate the role of parents in our lives. 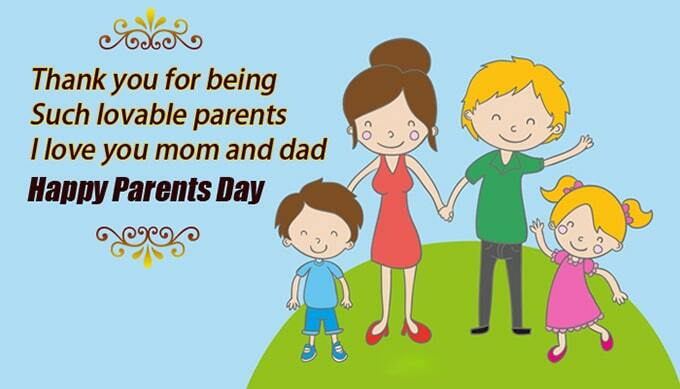 It is a holiday to reflect on all the material and non-material needs that parents provide for children. Feeding, clothing, and keeping a child safe right from infancy to teenage years. It is also the time to appreciate the role parents play in nurturing children into independent responsible adults that can build the nation. For a good number of people, it is a good time to visit parents. It is always a good summer trip as the children are on holiday, and they get to see their grandparents. The holiday gives families an opportunity to reunite and bond. It is truly a heartwarming holiday, and deserves to be marked on your July 2019 Calendar Printable. 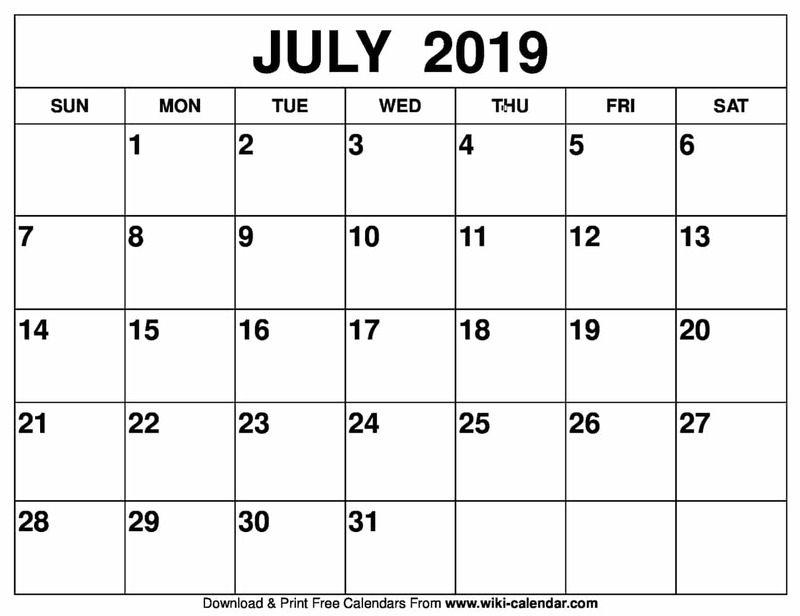 In conclusion, the month of July is an action-packed month. Sitting right in the middle of summer, its 31 days promise a lot of entertaining activities, as well as deeply moving and touching holidays. With a great July 2019 Calendar with Holidays template, you can organize your holiday so that you won’t have to miss out on any of the fun. I’m so happy you use them! I think this one is my favorite too. Thanks for the printable! I love this calendar! It’s really cute. I really love the floral design you used. Glad you like the printables. Thanks for coming by!